In retail, Bifurcation involves the format, square footage, and experience. In e-commerce, Bifurcation is separated by subscription / rental vs. independent purchase / ownership. In catalog marketing, Bifurcation separates customers who pursue old-school catalog marketing and customers who prefer e-commerce. Back in 1999, 95 out of 100 customers were catalog-centric shoppers. Bifurcation was happening, but you couldn't see it. In 2009, the minority of customers were catalog-centric shoppers. Bifurcation was obliterating everything, but catalog professionals couldn't see it because the vendor community DIDN'T WANT CATALOGERS TO SEE IT ... the vendor community promoted "matchback analytics", blatant lies that "proved" that e-commerce transactions were generated by customers who received a catalog (and if you mailed every housefile customer a catalog, matchback analytics showed that every e-commerce order was tied to a catalog ... that's the worst part of the lie). This kept dollars flowing in the vendor ecosystem, and this delayed knowledge of Bifurcation by another decade for uneducated catalog professionals. Now it's impossible not to see Bifurcation in catalog marketing. You run circulation simulations, right? You are a modern cataloger, so of course you are using modern analytics tools to understand if you are making the right decisions. Of course you are running circulation simulations. Here's an example. This company has great customers at the top of the file, and these customers have a low organic percentage (you measure your organic percentage, right ... RIGHT??? ), meaning that these customers LOVE CATALOGS. Read across the profit portion of the table (bottom half) at 72 pages (the average page count for this brand). How many catalogs should these customers get, per year? 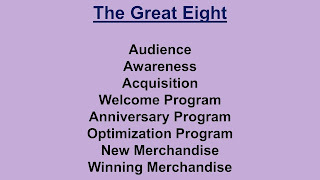 These great catalog shoppers should not get 25 catalog mailings per year ... optimal is 45 times per year at 72 pages (or 30 times per year at 112 pages ... there are other options, but it's all about MORE for these customers). The cataloger is making a grave mistake ... the cataloger is under-contacting the best customer. Now, let's look at the same customer, but this customer (who is also being mailed 25 times a year at 72 pages) is committed to buying via email marketing and generates an 85% organic percentage instead of a 15% organic percentage. Here's the simulation outcome. This is the EXACT SAME CUSTOMER, in terms of quality. The first customer shopped because of catalogs. This customer shops because of email marketing. 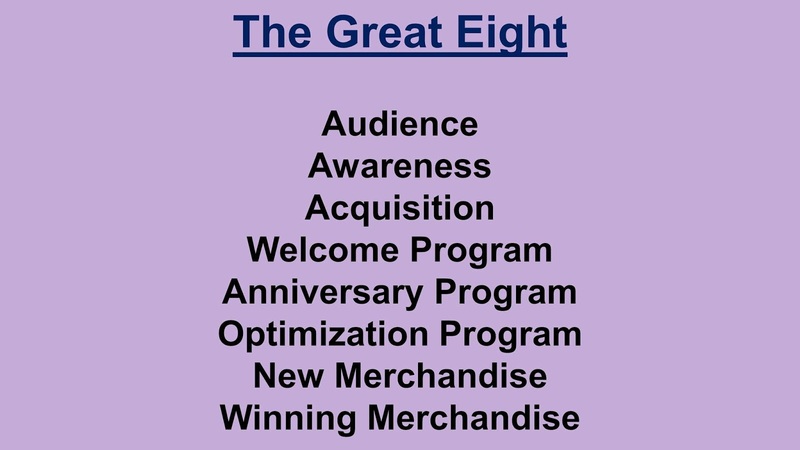 Read across the bottom portion of the table ... how many catalogs should the email-centric customer receive to generate optimal profitability? You run these simulations for your business, right? If you are catalog vendor worth anything to your client base, you run these simulations for your client base, right? If you are a catalog vendor and you are not running simulations like these, contact me immediately (kevinh@minethatdata.com) and be first in line to hire me ... I'll teach you how to create the simulations for yourself ... I will teach you how to do this, ok? Back to you, the humble catalog brand. Think about what this means for your business. You mail best catalog buyers 25 times a year, they should get 45 contacts per year. 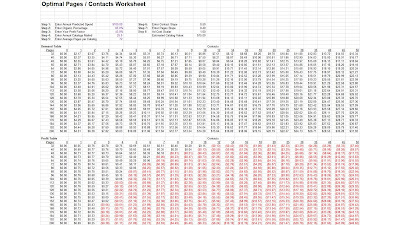 You mail best customers with online preference 25 times a year, they should get 16 contacts per year. You mail best customers with email preference 25 times a year, they should get one (1) contact per year. What the heck do you think happens when you get to the bottom 75% of your file? 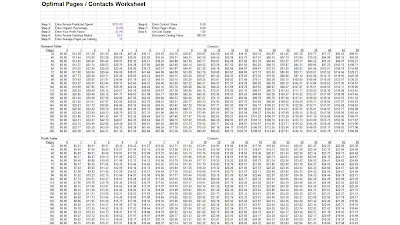 You should not be mailing more than 0-4 contacts per year, period. 10% of the file should be contacted with print weekly. 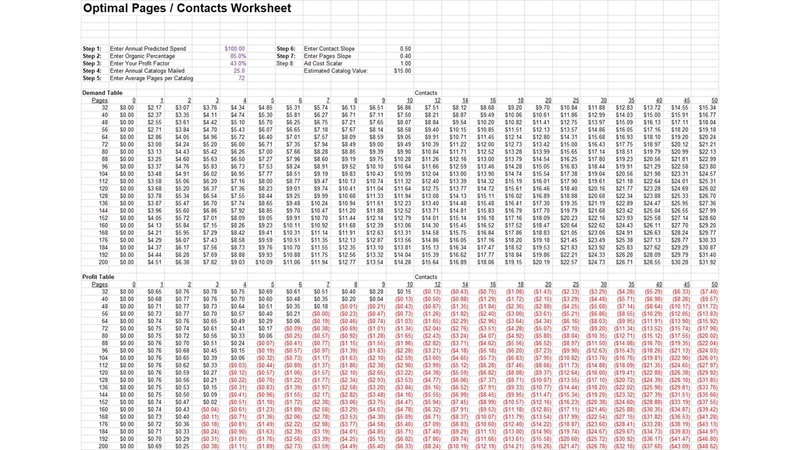 15% of the file is being treated properly via your current contact strategy. 75% of the file is being grossly overmailed. The typical catalog brand will not create a strategy to mail best customers 45 (or 85) times per year. The typical catalog brand will not create a strategy to mail 75% of the customer file four (4) or fewer times per year. This is the biggest threat facing catalog marketing in 2019 ... what is the threat? The threat is that we are not Optimizing a modern catalog business to take advantage of the 10% of the file that should be contacted incessantly and we are not Optimizing a modern catalog business to take advantage of the 75% of the file that simply should not be receiving outdated and irrelevant communications. You now have the knowledge ... you know that Bifurcation is happening to your catalog brand, or I wouldn't spend this amount of time communicating this fact to you. What will you, and your vendor partners, do about it? Which side of Bifurcation do you want to be on?